If you’re looking for a way to reduce fullness under the chin without undergoing a surgical procedure, you may be a candidate for the Kybella injectable treatments offered at The Dermatology, Laser & Vein Center. Kybella is an injectable prescription medicine comprised of deoxycholic acid, a naturally occurring substance that helps the body break down fat cells. 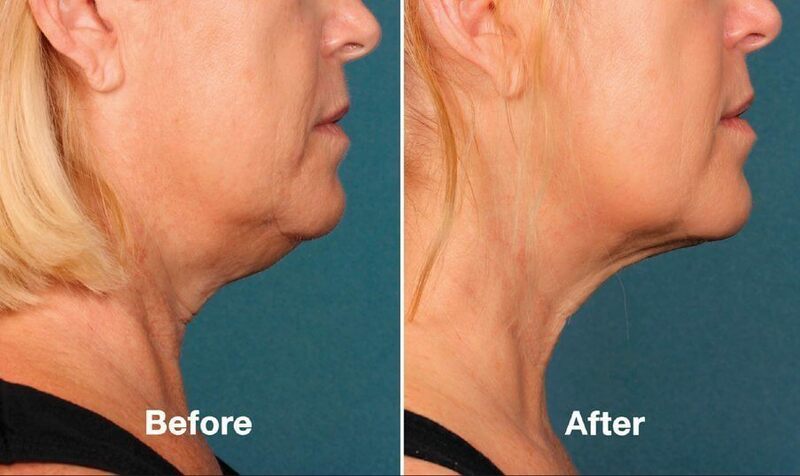 When injected into the chin, Kybella permanently destroys targeted fat cells and prevents them from further accumulation or storage of fat, which reduces submental fullness and improves the appearance of a double chin. Contact Dr. Gupta and the expert team at The Dermatology, Laser & Vein Center in Cincinnati today to learn more! How is the Kybella Procedure Performed? There is little to no downtime associated with Kybella injections. It is a minimally-invasive treatment and does not require any recovery time. The average patient requires 20 or more injections in a targeted area to achieve optimal results. Prior to your injection session, we can apply a topical numbing cream to the treatment area to reduce any discomfort associated with the injection process. Some patients may require up to two or three injection session to achieve their desired results. Injection sessions are typically completed within 30 minutes, and patients are able to return to their normal activities immediately after their injection session. Once the submental fat is identified, markings are made on the skin to avoid areas of nerves and muscle. Once the exact injection points are defined using a template, a small amount of Kybella is injected into each area. We might recommend icing the area after treatment to minimize swelling. No other precautions are necessary after the treatment. Who Can Get Kybella Injections? Anyone who is 18 years of age and older, not pregnant, breastfeeding, or without any medical conditions involving the neck area, can receive Kybella if they are good candidates to have the procedure. Before the treatment, a member of our highly-trained staff will discuss your desired results with you and determine if Kybella is the right choice for you. During this consultation, we will further explain the treatment and review your medical history to ensure that Kybella is a safe and effective option for you. Results depend on the lifestyle and diet of the patient but are typically long-lasting and potentially permanent. 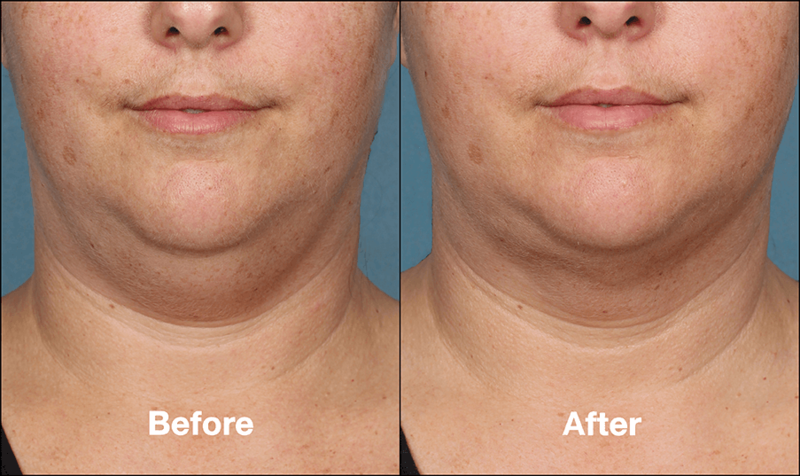 If you’re interested in learning more about how you can use Kybella to reduce fullness under the chin and improve the appearance your profile, contact The Dermatology, Laser & Vein Center in Cincinnati today!